Good evening yall. 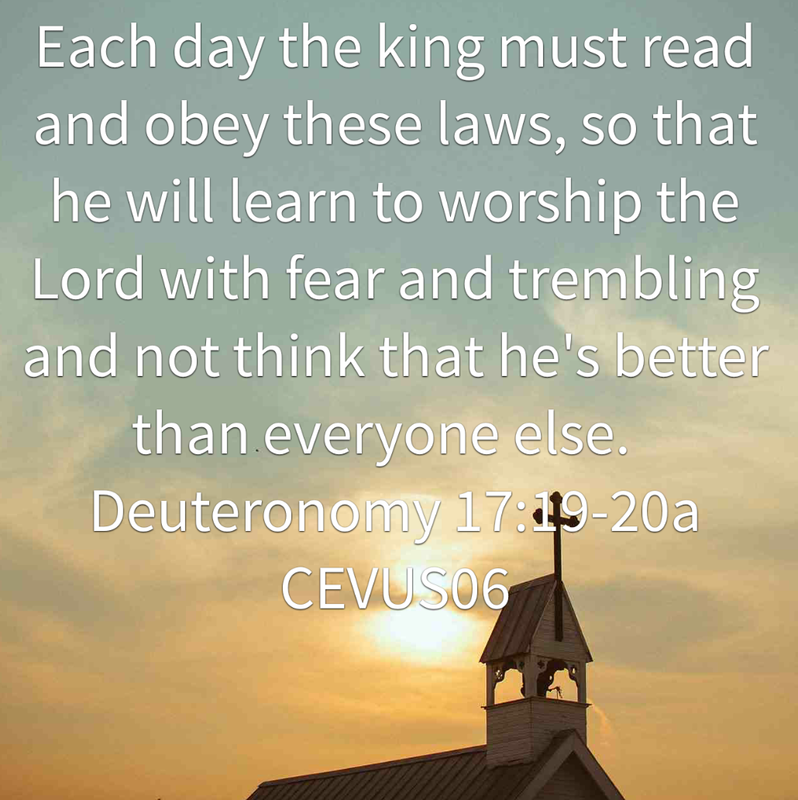 Today we are studying Deuteronomy 17. Verses 19 -20 in this chapter stood out for me. The more we read and meditate on a particular thing the more it becomes a part of us that’s why Moses encouraged the king to read the decree of God daily so that he will continue to fear the Lord and also not become proud for his own good. Majority of us spend a lot of time and money on getting materials to make our bibles colourful and our journals, but do we actually go back to read them and meditate on them. I’ll speak for myself, I know I don’t do that 90% of the time unless I have a problem and then I remember to go back and read through the Sunday notes or the promises I’ve highlighted in bible. I’m challenged by Moses command here to the king. He has to write it down and recite it daily. We are to chew on the word daily so we don’t forget it. Also reading the word will make him realise his need for God and make him Humble. Let’s take up this challenge today. Let’s commit to spend time with God every day; to keep His word before us as we go about our daily activities. I am blogging through the book of Deuteronmy with Good Morning Girls. Check us out at www.goodmorninggirls.org. Deuteronomy 13 – Comfortable with sin? Good evening y’all. 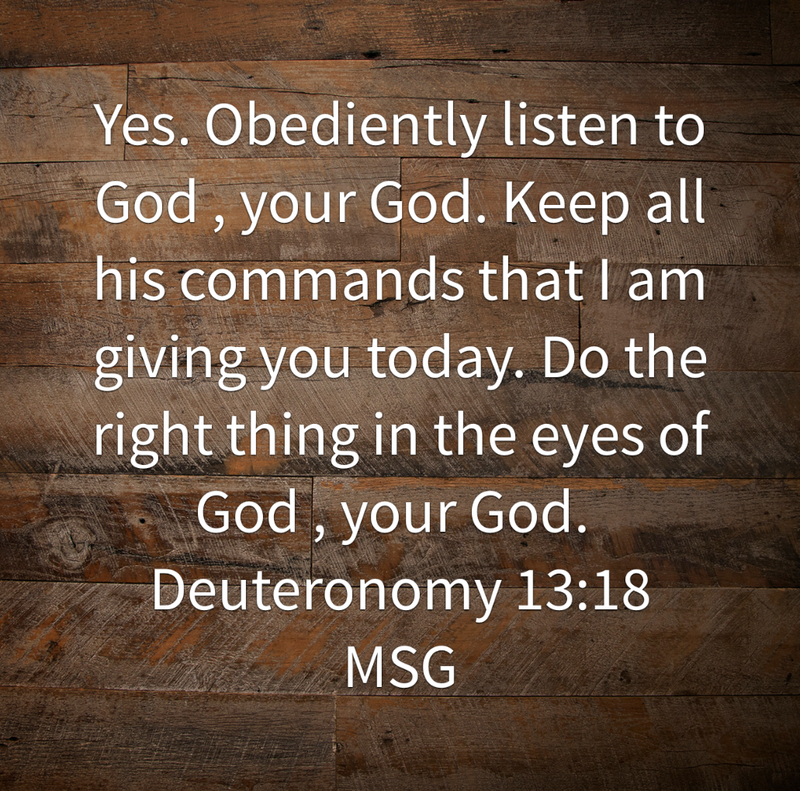 Today we are studying Deuteronomy 13. Moses encouraged the Israelites to purge the evil from amongst them. They were to completely get rid of any false prophets or anything that can potentially lead them away from God. Have we become complacent with sin? We ought to be brutal with anything that will take Gods place in our lives or make us sin against Him. We shouldn’t even tolerate it. I’m not saying we should go round killing but that’s how much we should hate sin and make sure we run or abstain from anything that will contaminate us or take our hearts away from God. Nowadays a lot of us are comfortable with sin. We keep playing the grace card. May I submit to you that the grace of our Lord is not a license to sin!!! Infact, His grace should make it difficult for you to sin. When you understand the price God paid for you, then you’ll know that sin is not something you play with. I encourage each of us to do a thorough check today and see where we are tolerating sin – knowingly or unknowingly. Let’s make the words of the psalmist in Psalm 139: 23-24 our prayer today.